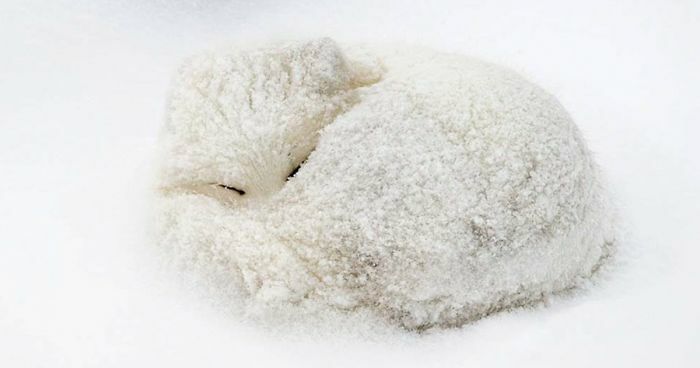 Cold weather is upon us and these winter days can be a drag sometimes... To brighten up your day, Bored Panda has put together a list of adorable foxes in the snow. With their beautiful coats, pointed ears, long snouts, and bushy tails - foxes are just too cute not to love! Expect to see different photos of the adorable little creatures in all of their fiery red, steely gray or snow-white beauty. Keep on scrolling to take a look and don't forget to vote for your favorites! "I'll find you yet, you twicky wabbit!" Could somebody bring me a shovel please?? "What's this on my nose??" "he said come to the dark side, but then i would contrast"
When camouflage coloring fails...the lichen were made for RED foxes! "Mom I got it on me"
This bandit stole my heart. Looks like nothing phases this one. OMG THE LITTLE TONGUE STICKING OUT AND THOSE EYES! Looks more like a Samoyed dog than a fox...or is it me?? What type of fox is that ? So pretty. Especially in the snow. Yes, I would also be suspicious of the clouds. Omg he liked my photo! !